You may visit our website without identifying yourself or revealing any personal information. However, certain transactions that you choose to engage in on this site will require your submission of personal information, including, but not limited to, news feed requests, brochure or video requests, listservs and mailing lists, alumni profile updates, applications and certain databases. As a general rule, Harvard Business School will not sell, swap, rent, or otherwise disclose to any third party any such personal information for commercial purposes. Such information will be utilized only for the purpose stated. 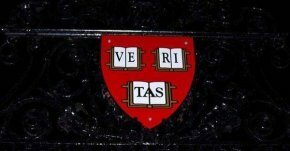 To accomplish such purpose, Harvard Business School may disclose the information to its employees, consultants and agents (including, for purposes of the application process, alumni interviewers) who have a legitimate need to know the information, and to Harvard Business School clubs and other Harvard Business School organizations. Harvard Business School also reserves the right to disclose this information under special circumstances, including disclosures required by law, court order or circumstances under which disclosure, in the sole discretion of Harvard Business School, is necessary to protect the legal rights, including the intellectual property rights, of Harvard Business School or the President and Fellows of Harvard College.